Twickenham Rugby Hospitality - Where do England go from here? You are here: Home / Latest News / Rugby Union / 6 Nations Championship / Twickenham Hospitality – Where do England go from here? 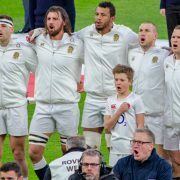 Twickenham Hospitality – Where do England go from here? After announcing yesterday that Stuart Lancaster has stepped down as head coach of the England Rugby team, the RFU have begun their search for the man to take England into the 2016 Six Nations and beyond. 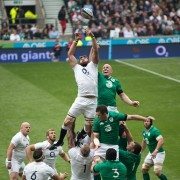 Eventmasters will once again be providing the very best official Twickenham hospitality packages as England take on Ireland and Wales in two epic clashes in the Six Nations. Out Twickenham hospitality packages for the 2016 Six Nations offer the perfect environment for businesses to entertain their important clients and guests along with the ultimate match day experience. Don’t miss out on our superb Twickenham hospitality packages. Yesterday RFU Chief Executive Ian Ritchie said that conduct a “global search” for their next coach and added “We’re looking for a head coach with international experience.” This statement seems to rule out several home-grown coaches currently working in the Aviva Premiership including Mike Ford, Jim Mallinder and Rob Baxter. All have performed wonders at club level but have very limited international exposure. All signs point towards England appointing their first ever foreign head coach, some believe this is the only way for the RFU to go in order to get back to the top of world rugby. Others believe it shows a level of hypocrisy selecting an overseas coach when the have implemented a policy of not selecting players who are plying their trade abroad. That feels like a debate for another time. Eddie Jones has been a man touted for the job after he masterminded a stunning World Cup campaign with Japan, which included the biggest upset in international rugby history as they defeated the Springboks. Jones is widely regarded as one of the world’s most intelligent coaches and has vast international experience. Led Australia to the 2001 Tri-Nations title before guiding them to the 2003 World Cup Final, where they were narrowly defeated by England. In 2007 he was an advisor to Jake White as South Africa won their second world title. His international CV is one of the most impressive around and his style of rugby and ability to get the best out of players, would certainly be popular with fans and Twickenham hospitality guests during the Six Nations. A man Jones worked closely with was Jake White and the South African has repeatedly expressed interest the England job. White famously took over a Springbok side in turmoil in 2004 and turned them into World Champions just three-years later. That side contained many players who White had coached to the U-21 World Cup success, which shows his ability to bring through young players and develop their talents. His sides don’t tend to play the best rugby and rely on powerful forward pack, but it can be argued that England looked at their best under Lancaster when their pack were going well. So could White be the man to get the best out of a very talented pack of forwards and transform them into the world’s best unit? Michael Cheika is another name who has been linked with the England role over the past couple of days, with reports that the RFU have contacted him about the job. Cheika is the reigning World Rugby Coach of the Year, after guiding Australia to the Rugby Championship and the final of the 2015 World Cup. The former Leinster coach is contracted with the ARU until 2017 so any move by the RFU would require a significant sum of money to tempt him away from his current role. He has had success wherever he has worked and it would be a major coup for England to land him. One Englishman who does have international coaching experience is Shaun Edwards who is currently working with Warren Gatland with Wales. This appointment would be very left field but he has been Gatland’s right hand man for a number of years and is widely regarded as one of the world’s finest coaches. He revolutionised the way teams defend when he introduced his now famous ‘blitz defence’ at Wasps, a tactic that has worked wonders with Wales. He has been a major part of the Wales set-up that won the Grand Slam 2008 and 2012. In 2013 he took temporary charge of Wales in the Six Nations and guided them to the title as they conceded just two tries in the whole tournament. It wouldn’t be absurd to see Edwards as head coach, a job which he has spoken of in the past. If he could get the right team around him, the former rugby league legend could be an outstanding appointment. Twickenham hospitality guests wait with bated breath to see who will be the man to take England forward in coming years. For more information and to purchase your Twickenham hospitality packages please follow the links. https://www.eventmasters.co.uk/wp-content/uploads/2017/07/logo.jpg 0 0 admin https://www.eventmasters.co.uk/wp-content/uploads/2017/07/logo.jpg admin2015-11-12 11:49:292016-01-06 15:11:30Twickenham Hospitality - Where do England go from here?